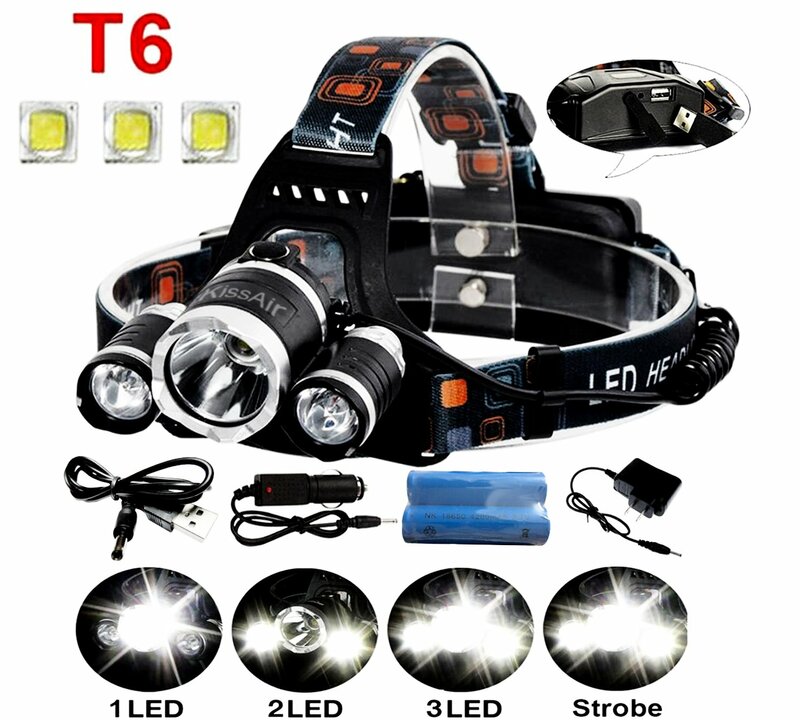 Home › Energy-Efficient LED Lighting › 5000Lumen Bright 3 Cree Xm-L Xml T6 Led Headlampkissair(Tm) Waterproof Flashl..
5000Lumen Bright 3 Cree Xm-L Xml T6 Led Headlampkissair(Tm) Waterproof Flashl..
Output bright can come to max 5000 lumens. Includes 3xT6 Headlamp, wall charger, USB cable, car charger,2 pcs 18650 Rechargeable Batteries. KissAir Headlamps with 4 mode:low(1*T6)/middle(2*T6)/high (3*T6)/strobe(3*T6). KissAir Headlamp suitble for camping, climbing, hiking, fishing, spelunking and maintain your cars. Features: Brightness: 5000 lumen Item Type: Headlamps Light Source: 3 LED Bulbs Model of LED Beads: T6 Battery Type: Lithium Ion Wattage: 20 w Waterproof: Yes Light Color: White Switch Mode: High/Middle/Low/Flashing Material: Aluminum Alloy Additional function: Headlight is able to charge your phone Package: 1X 5000 Lumen CREE XM-L T6 LED Headlamp 1XWall Charger 1X USB Charger 2X 18650 batteries KissAir(TM) is US registered trademark(Serial Number: 86826791), Kindly remind to all customers:We have never authorized any other seller to sell our products and will pursue legal action to sellers who sell our items in Amazon!